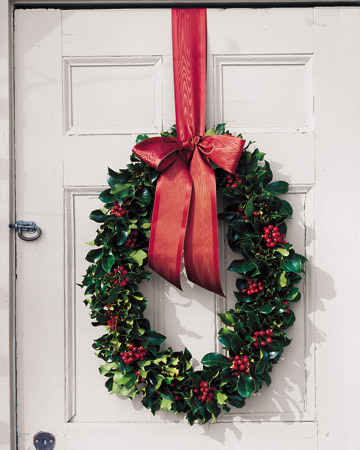 Martha Stewart Living is celebrating 20 years and looking back on their best Christmas wreaths. 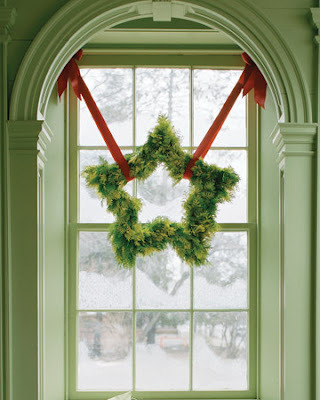 There are a ton of great ideas, but these 5 (including the star Christmas wreath above) are my favorite. 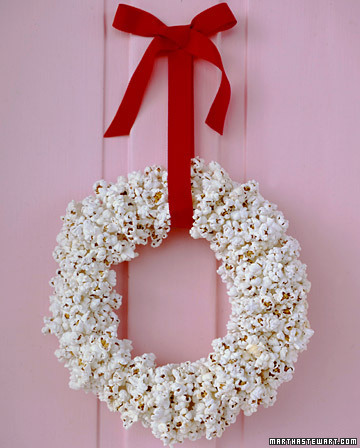 If you traditionally string popcorn to decorate your tree, this popcorn wreath will coordinate perfectly. And this one is a very kid friendly project. 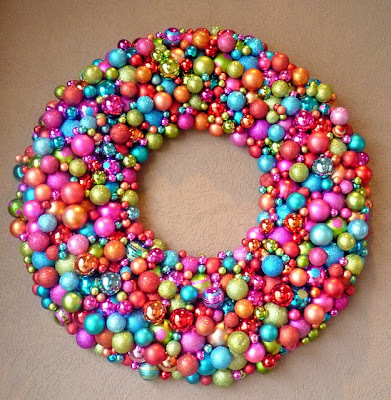 I think I love the shape for this oval holly wreath more than the actual wreath, but I do love it! 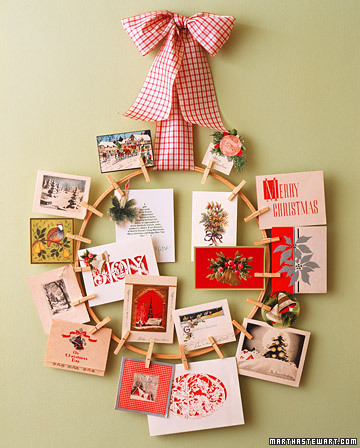 And this pinup wreath is a great way to display Christmas cards you get from Family and friends. 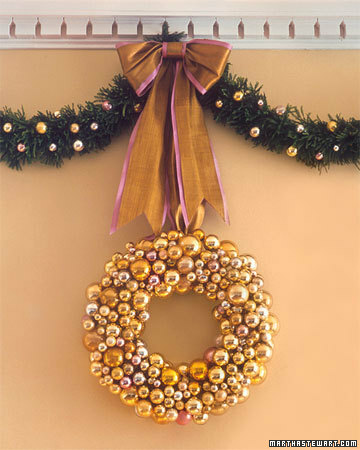 And this glass ball ornament wreath has popped up in every color and size imaginable, but this version from Martha in 2001 might just be where most of them got their inspiration. Although this 4 foot version of the ornament wreath is still my favorite.